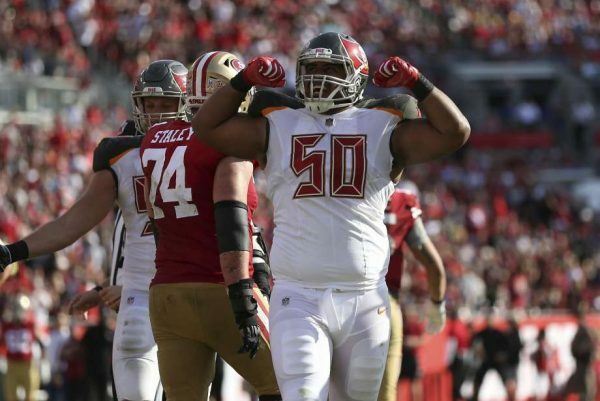 The Buccaneers were impressive on Sunday, snapping their four-game losing streak by topping the San Francisco 49ers at home 27-9. Quarterback James Winston made the most of his opportunity, as he threw for 312 yards and two touchdowns in the Buccaneers big win. “Jameis played quarterback the way you need to play it in the NFL until you get into desperation time, which we never did today,” coach Dirk Koetter said after the game. The Bucs move to 4-7 on the season with the win. "I'm very proud of my teammates. We fought hard, and we got the win so it was great."